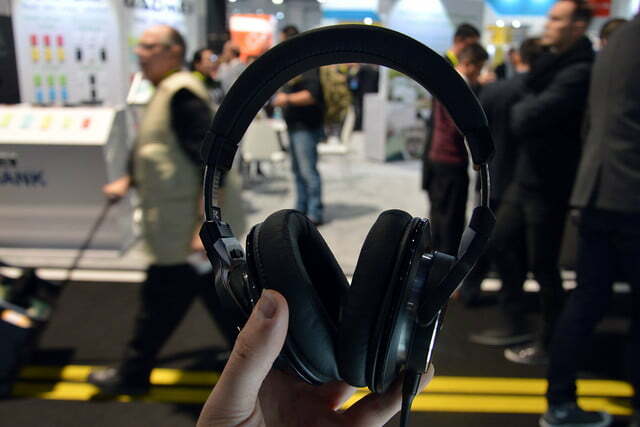 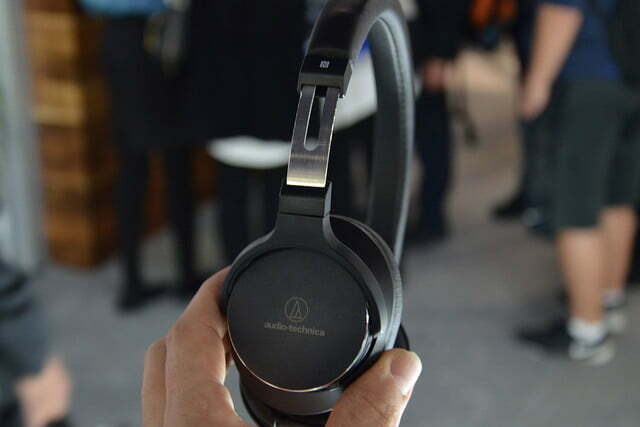 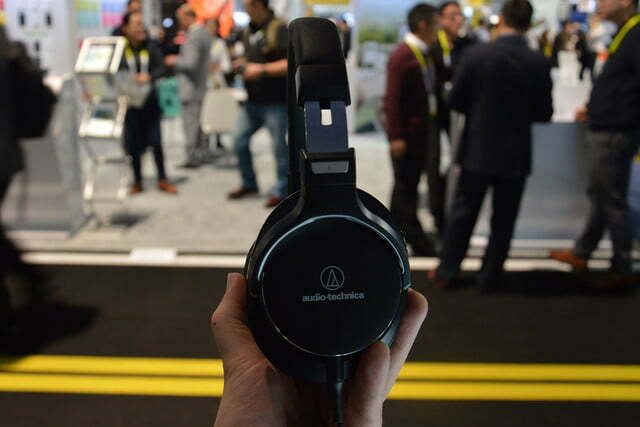 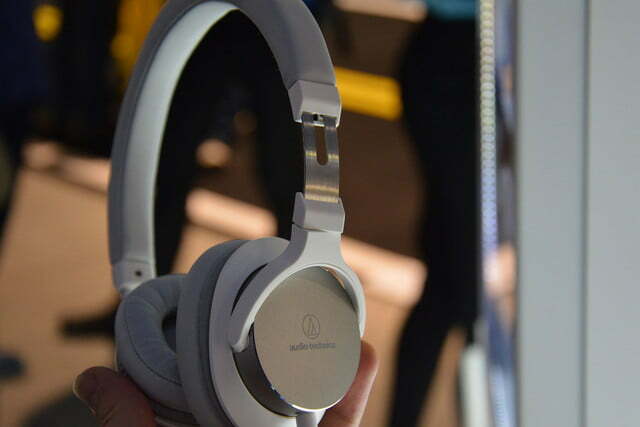 Audio Technica brought some cool new toys to CES 2016 this year, and we got a chance to peruse them in the midst of the chaotic show. 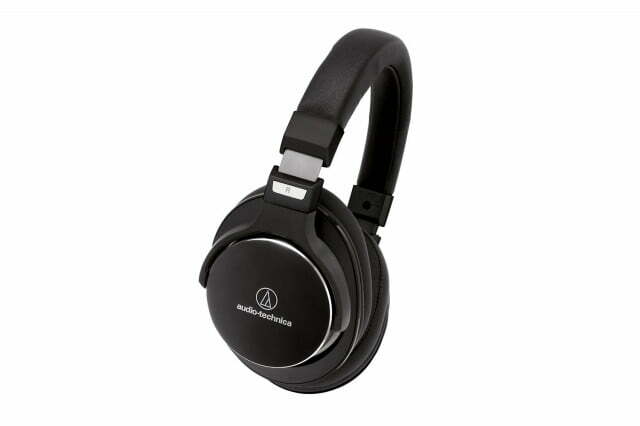 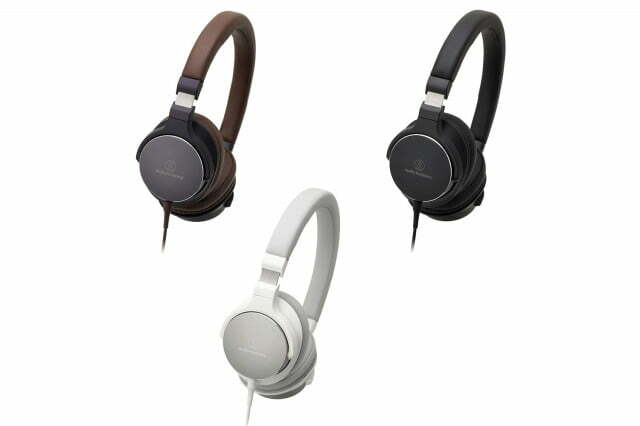 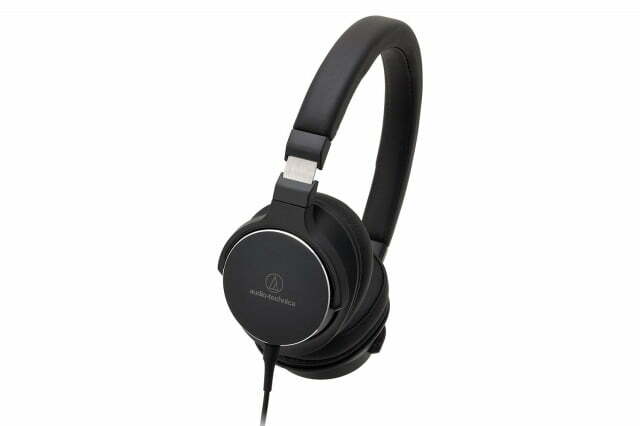 The company has taken its popular ATH-MSR7 over-ear headphones up a notch by adding active noise cancelling (ANC), adding a couple of new on-ear models to the mix, and perhaps most notably, adding new wireless capability to the popular LP-60 turntable in the new AT-LP60-BT. 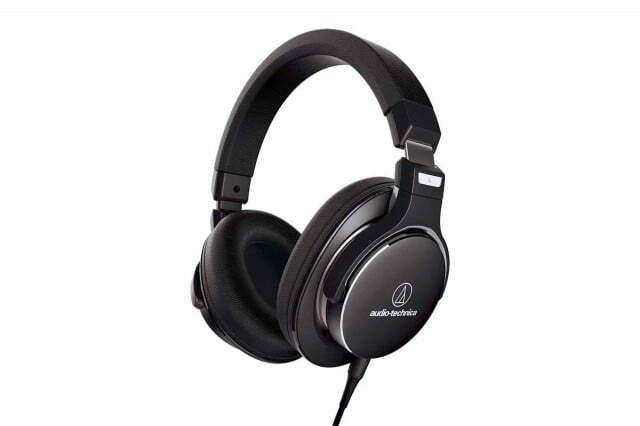 We really enjoyed the ATH-MSR7 when we reviewed the headphones last year, and active noise cancelling is a great addition to an already great pair of cans in the new ATH-MSR7NC ($300). 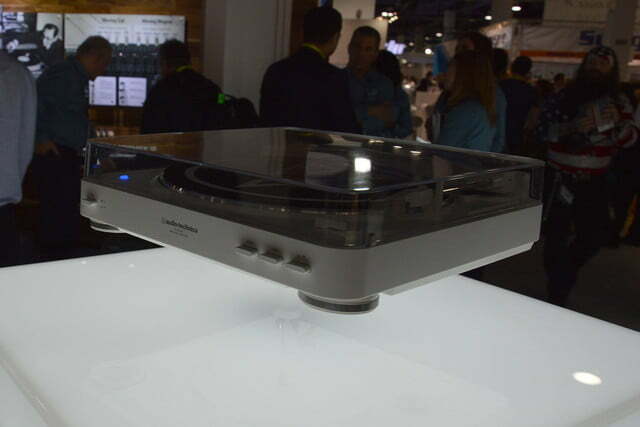 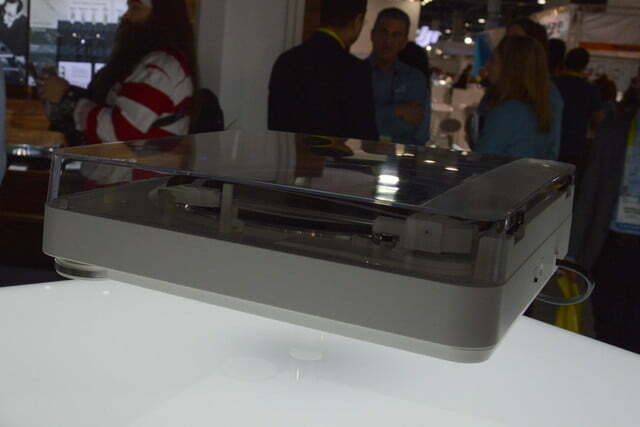 We tested the feature out on the floor, and it did a pretty good job of attenuating the madness, though we did notice that the on-board amplifier raised the volume fairly significantly when ANC was engaged. 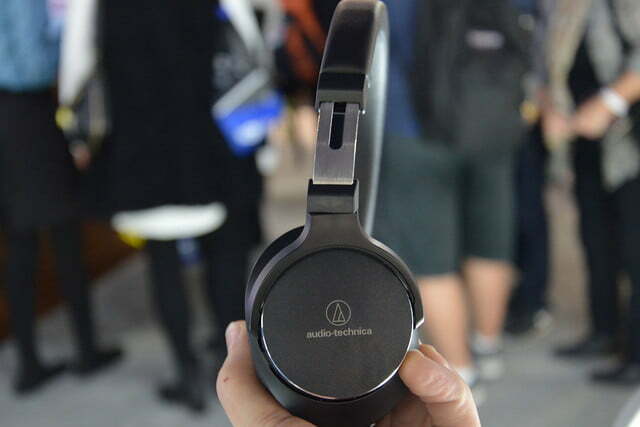 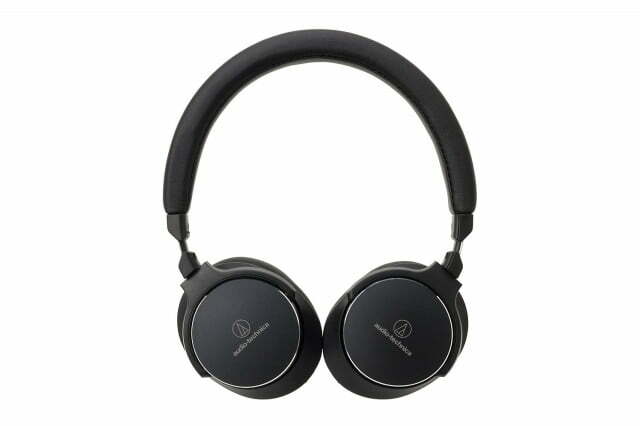 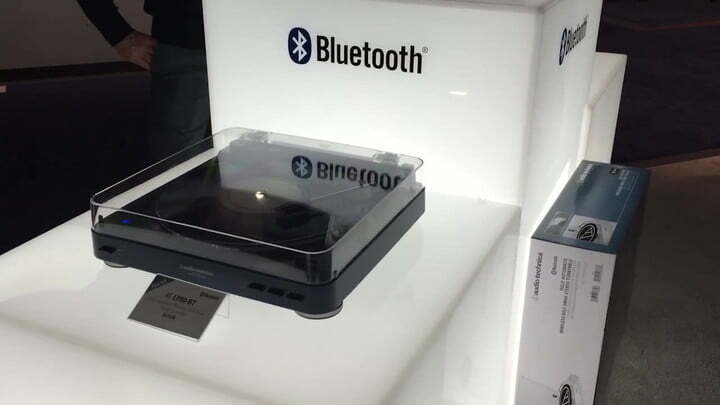 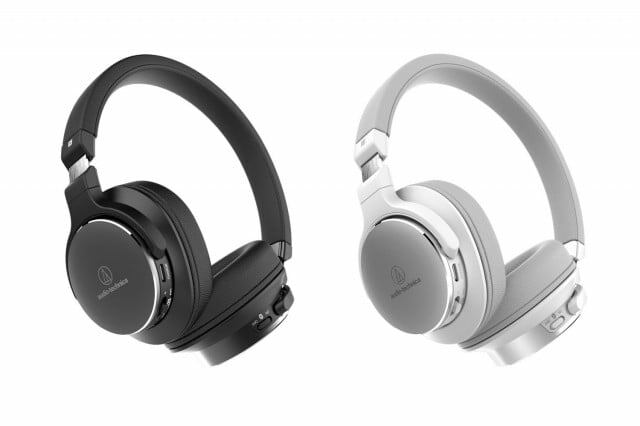 The company decided to capitalize on the success of the MSR7 this year, adding two new on-ears in the ATH-SR5 and the ATH-SR5BT, the “BT” standing for Bluetooth wireless connection. 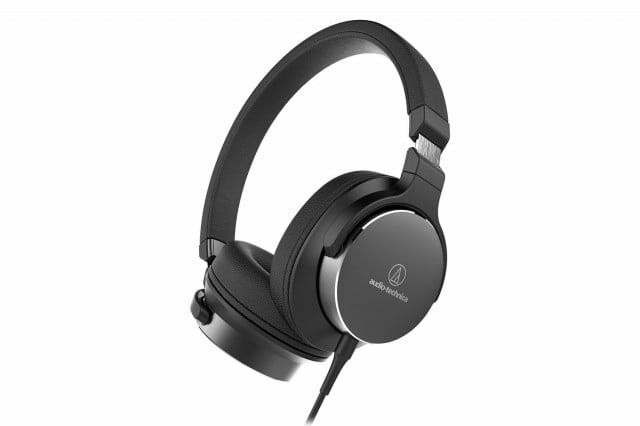 On first acquaintance, the SR5 impressed: The headphones offer a clean sound that’s well balanced, with a pretty comfy fit to match. 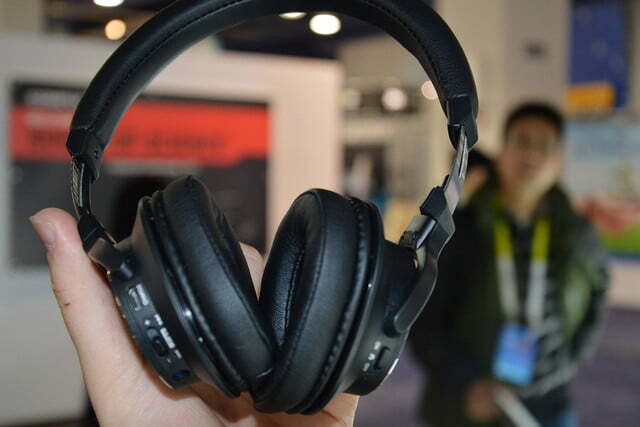 The $150 price point for the wired version is especially impressive, and we’ll expect the junior version to do just as well as the over-ear MSR7. 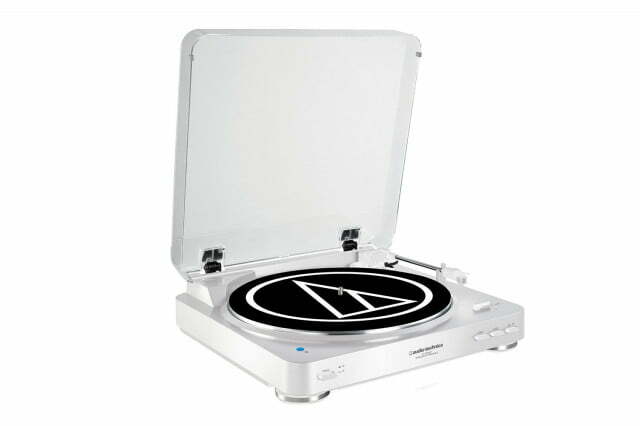 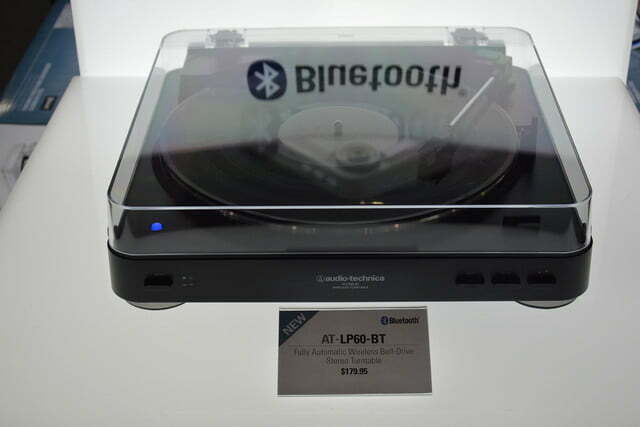 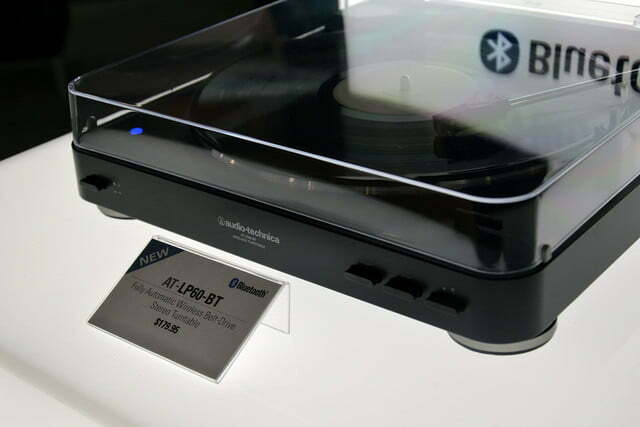 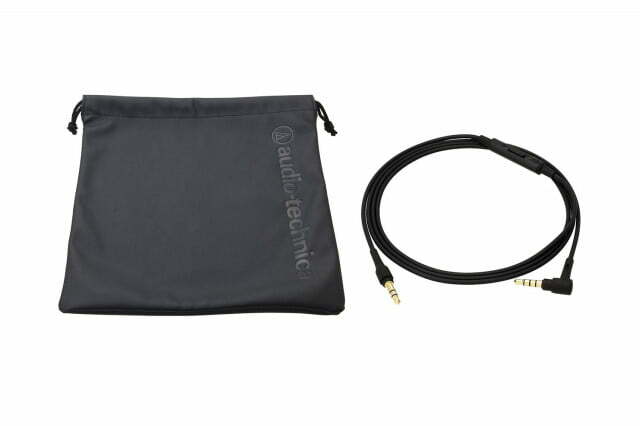 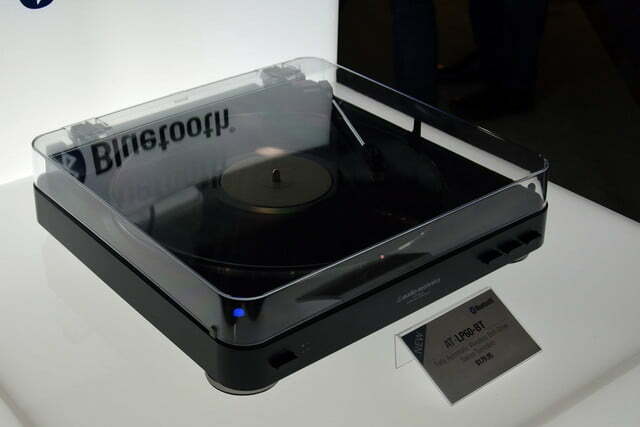 As for the AT-LP60BK, if you’re wondering why AT would want to send the analog grooves of vinyl through the compressed and degraded signal that is Bluetooth, you’re not alone: the Audio Technica reps didn’t really have an answer either. 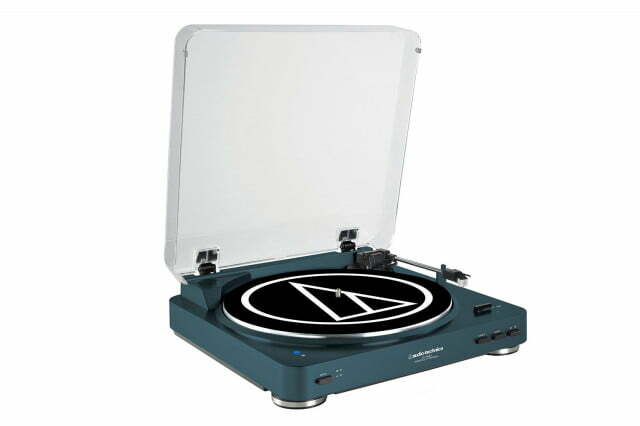 That said, the LP60 is still the same quality turntable it always was, with a highly affordable price and the option for on-board amplification. 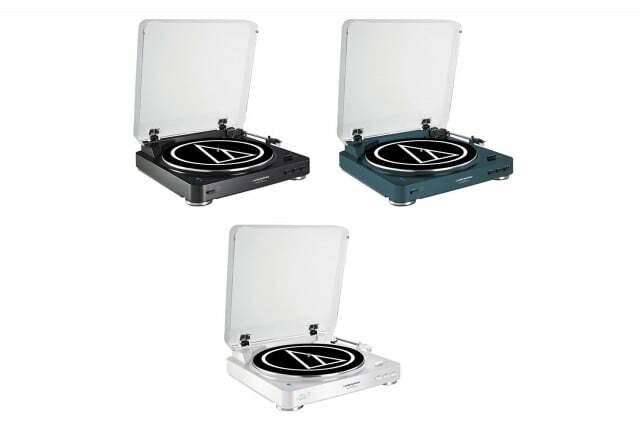 The only real difference now is added versatility. 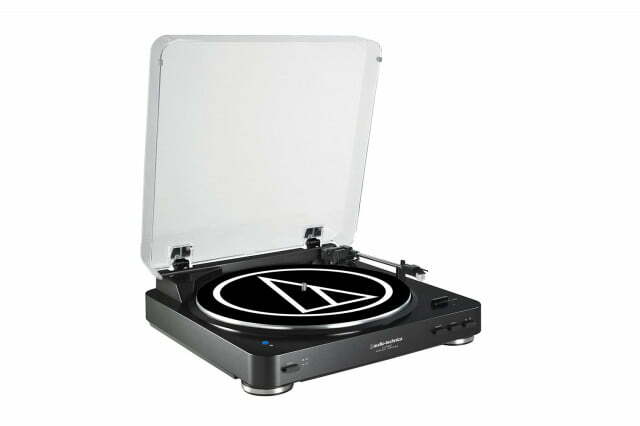 At $180, the LP60-BT is still highly affordable, and if you do want to spin some wax and step away, it could be a fun feature, allowing you to send the sound to up to eight different speakers and headphones, and it’s available this month.